Miscellaneous bits of news and fun stuff from around the Internet...the Thanksgiving Week edition! 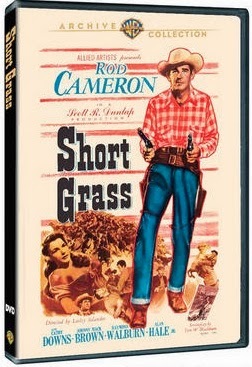 ...I'm delighted to share the news that my recent review of the Warner Archive release SHORT GRASS (1950), starring Rod Cameron, has been cross-posted at Movies Unlimited's MovieFanFare site. It's a very well-done film, and I hope that even more film fans will become familiar with Rod Cameron's Westerns thanks to their availability from both the Warner Archive and VCI. ...I also missed mentioning that my review of the highly diverting PRINCESS OF THE NILE (1954) was posted at MovieFanFare last month. This Fox Cinema Archives release stars Debra Paget and Jeffrey Hunter. My thanks to MovieFanFare for sharing both posts with their readers! An index listing my reviews which have been posted at the MovieFanFare site can be found here. ...My latest post at the ClassicFlix site is on one of my favorite actors, Robert Taylor. There are many interesting articles and reviews by other writers up at ClassicFlix so be sure to poke around the site and check it out! ...Disney's FROZEN (2013) opened last Friday at the El Capitan Theatre in Hollywood; it opens at most theaters on Thanksgiving Eve. The advance buzz has been strong, such as this review from Leonard Maltin: "With its show-stopping renditions of soaring new songs, it evokes the best qualities of classic Disney musical fairy tales...Disney still reigns supreme when it comes to sweeping musical fairy tales." I hope to see FROZEN over the upcoming long holiday weekend. 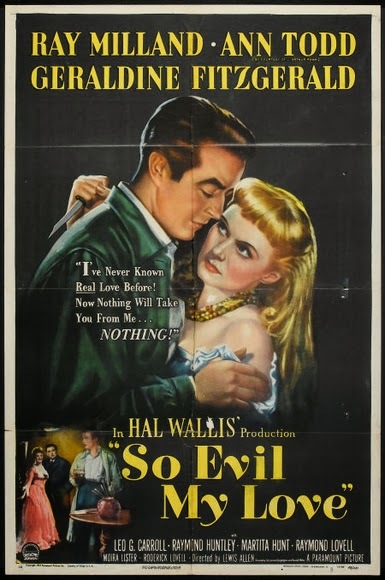 ...I loved Karen's article "Bad Boys: The Men of Pre-Code" at Shadows and Satin. She covers so many favorites, including Robert Montgomery, Chester Morris, Ricardo Cortez, Lyle Talbot, and Warren William. ...What better time of year to take a detailed photo tour through Kate Winslet's cottage from THE HOLIDAY (2006)? Here it is, thanks to Hooked on Houses. I'd love to explore this library! (The photo is from the linked post.) Incidentally, THE HOLIDAY will be part of this year's Christmas movie lineup on Turner Classic Movies, airing on December 17th. ...Movie lists are always fun; here's one from the Self-Styled Siren suggesting 10 films to show people who aren't classic film fans. It's a good list from a cross-section of genres. THE ADVENTURES OF ROBIN HOOD and REAR WINDOW have gone over very well with my children's friends. 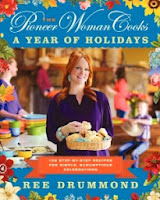 ...I received my copy of THE PIONEER WOMAN COOKS: A YEAR OF HOLIDAYS, and it's a beauty, the biggest and heaviest of her three cookbooks to date. The first recipe I turned to was for her salsa, which I wrote about making back in 2010. Three years later my internet printout of the recipe is in tatters so I'm glad it's in the book! More on the author and the book can be found in this article from Parade. ...The new Barbara Stanwyck bio by Victoria Wilson certainly sounds as though it may be the classic film book of the year. Here's the review from the New York Times. ...The New York Times also recently published an interesting article about an upcoming Robert Mitchum documentary, NICE GIRLS DON'T STAY FOR BREAKFAST. ...The Family Friendly Reviews site will be hosting a Christmas blogathon from December 20th to December 22nd. Many wonderful bloggers have signed up to write about favorite holiday movies. ...Another interesting blogathon is coming to Backlots, where on December 22nd Lara is hosting her third annual Dueling Divas Blogathon. ...Java's Journey writes about THE RECKLESS MOMENT (1949), a really fantastic suspense film starring Joan Bennett and James Mason. Parts of it were filmed on Balboa Island, here in Orange County. 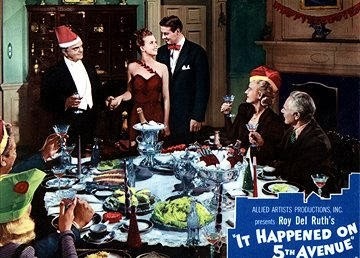 As it happens, THE RECKLESS MOMENT makes great "outside the box" Christmastime viewing, as this story of murder and blackmail takes place as Bennett is preparing to celebrate the holiday with her family. ...Charles Tranberg, the author of interesting books such as ROBERT TAYLOR: A BIOGRAPHY and FRED MACMURRAY: A BIOGRAPHY, has a new book out, FREDRIC MARCH: A CONSUMMATE ACTOR. It's from Bear Manor Media. You can read more about the book at the Silver Screen Oasis, where the author took part in a discussion over the course of this weekend. ...Speaking of film books, Jennifer Garlen has a list of "Six Books for Your Classic Movie Christmas List" at Virtual Virago, and Leonard Maltin also posted a list of "New and Notable Film Books." ...Jeffrey Katzenberg and Steven Spielberg have each donated $10 million to the new Academy Museum of Motion Pictures coming to Wilshire Boulevard. Thanks so much for the mention, Laura! I enjoyed your Robert Taylor article -- and can't wait for the Robert Mitchum documentary! Love that guy. Thanks for the mention too! I'd be honored if you would join the Christmas Movie Blogathon too! I'm looking forward to reading the Dueling Divas posts too. Thanks for the mention Laura, as always. Laura, this must be one of your best ever columns this week. So many interesting links - Stanwyck bio review, lots of film reviews, and great news that there may be at last a film museum in Hollywood. 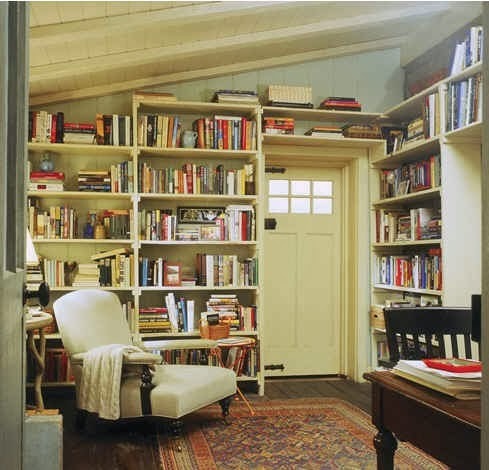 I need those floor-to-ceiling bookshelves. Collecting books is one area where I seem to have no control. My friend introduced me to that salsa recipe. It is so crazy good! 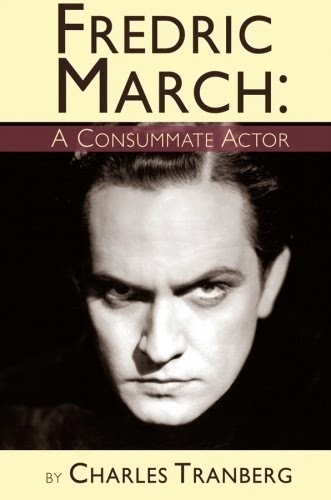 So excited to learn about that Fredric March bio! Thanks for the link to the discussion. I can't believe it's taken so long for him to have a biography that will actually be in print. I know there was one book published on him that can be found if you have a big wad of cash. Also interested in that Mitchum documentary. because I am back in london! hurt her back I am looking after her instead,and of course the cats! I am in London for another week or so! the films that I mentioned. cats are howling for their food! Thanks for the heads up on the Robert Mitchum documentary. Sounds like something to look forward to. Wow, thanks to you all *so* much for the wonderful feedback! What a pleasure to know that the roundup has been so enjoyed, it means a lot! Karen, I'm delighted you enjoyed the Robert Taylor article, thank you for letting me know! Chris, I'm honored to be asked to participate! I've had to cut back on my blogathon participation this year due to other writing commitments but I will definitely look into and consider it. I love the blogathon theme! Vienna, wow, thank you!! I was just at your blog and saw you've been writing about the Nick Carter mysteries -- I'm looking forward to seeing the next two. 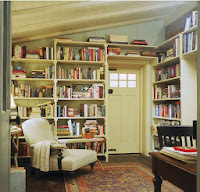 KC, I'm fortunate enough to have floor to ceiling shelves and it's still not enough! Books and movies kind of take over my house, LOL. How fantastic you've enjoyed that salsa recipe too. I think I need to make some for movie watching over the upcoming holiday weekend! Robby, glad I could let you know the good news about the March bio! I have the old Citadel FILMS OF... book but it will be great to have a more in-depth bio. I've really enjoyed Tranberg's work. He has another book out of Disney interviews I hope to pick up soon. John, you lucky man, enjoying London! It's already been over four years since I was last there and I long to go back. (So many great theatre opportunities there, among other things!) I'm glad you enjoyed the PRINCESS OF THE NILE review, I sure appreciated your tip to watch it! TCM was supposed to be showing QUINCANNON roundabout now but it dropped off the schedule somewhere between the online preview and the final printed guide. I'm looking forward to seeing it! Glad to know you saw my note to you at Colin's place. Thank you all again so much for your notes and for letting me know you enjoyed this week's roundup!